After eliciting a firestorm for a phrase I used in a recent article that some found offensive, I was a bit wary when offered the following assignment to write about a race-ethnicity dialogue series. But it’s subject matter I know fairly well and so here is a preview of this new piece that will soon be appearing in The Reader (www.thereader.com). 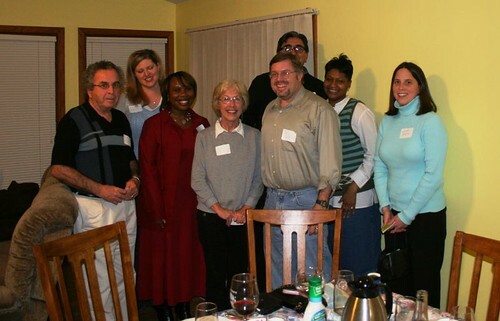 Omaha Table Talk is one of many attempts to bridge the racial divide, in this case by inviting people of different races and ethnicities to sit down and break bread together as a welcoming and disarming framework for discussion and dialogue about the things that often never get said or asked in mixed company. I would prefer to attend a Table Talk and do a story based on what I observe and hear, but this assignment called for me to do an advance story for the October 20 Table Talk, and thus I had to rely on interviewing organizers and participants for their takes on these forums. I do plan to attend the next Table Talk. The uneasy place race inhabits in the collective American psyche leaves most discussions of the subject to academics, activists or attorneys. But its lived reality permeates much of the every day social-cultural fabric. Rhetoric about race is common. Conversation, less so. In these politically correct times, with a topic so tinged by the emotional weight of the past, no one wants to offend, therefore often nothing is said at all. Except for brief times in U.S. history, race has not been at the forefront of a national dialogue. Keeping it at bay only adds to the existential angst, be it white guilt or minority outrage. In Omaha, where the geographic and socio-economic gulf between races is great, opportunities for exchange may be even fewer than in more diverse settings. Given this weird dynamic, it’s not surprising then a formal apparatus exists for bringing people together over the very thing that often divides them. Omaha Table Talk (OTT), now in its seventh year, is a forum for individuals, couples, friends, acquaintances and complete strangers to share personal testimonies, discuss issues, watch films and hear presentations that touch on race. It’s not alone, either. Since 2009 Progressive Omaha, First Unitarian Church, Nebraskans for Peace and other sponsors have sponsored Black-White Dialogues. Table Talk’s free, October 20, 6:15 to 9 p.m. signature event will find hundreds gathering at homes, community centers, worship sites, companies and restaurants to talk openly about race-ethnicity over dinner. The idea is that breaking bread with The Other allows you to get to know someone beyond assumptions or roles. Valerie Hankins signed up for a 2009 Table Talk to represent how a black woman like herself can be a professional and should not be reduced to some media image. “I shared that as a person of color I find myself often proving I am intelligent, that I can speak using the King’s English, because there are stereotypes associated with being a black woman and I don’t feel that is fair to any individual, no matter what they are,” she says. An average of eight to ten participants attend each dinner. There’s a host and a facilitator. A few set questions, such as Why are you here? and Have you experienced a racial incident? act as conversation starters. Phyllis Brown has become such a Table Talk advocate she now serves on the nonprofit’s board. “It just turns out each time I’ve attended, hosted or facilitated it was a great experience, it really was,” says Brown, Single Parent Displaced/Homemaker Coordinator at Metropolitan Community College. She enjoys the liberating forum OTT provides. OTT executive director A’Jamal-Rashad Byndon is convinced the program makes a difference. Phyllis Brown says a dinner she hosted at her home led some women guests to invite her to join their book club. These sprouts, say Brown and Byndon, are evidence the spirit of Table Talk can and does find new expressions. “If you come with an open mind it can just lead to some wonderful things — whatever you really want to do with it,” says Brown. There is a preaching to the choir element to it all, as OTT attracts progressive, educated folks who already embrace racial harmony and support inclusion. Some, like Byndon, an activist and educator, work on the front lines. Ironically, OTT itself has lagged in diversity says Byndon. “Our goal was to have one third to one half of participants be people of color, and that has not always been the case. That’s one of our biggest shortcomings.” He says African-Americans comprise the vast majority of racial minority participants, followed by Latinos. Numbers aside, everyone is there to affirm interracial-multicultural unity. Inspired by a column syndicated journalist Leonard Pitts Jr. wrote about the Dallas Dinner Table diversity program, Table Talk began as an outreach of the Catholic Charities of Omaha social justice committee in 2004. Byndon, then senior director for public policy with Catholic Charities, joined fellow committee members McFarland and Partsch and chair Kathleen Jeffries in forming OTT. Before going public, Catholic Charities staff and invited guests convened a trial dinner. That first dinner led to a couple more and before long OTT became a citywide event with ever increasing participation. While the numbers are no longer doubling as they did the first few years, Byndon says a record 500-plus folks met to eat and opine last year. He expects more participants this year. As many as two-thirds who participate today are repeats, says Byndon, who followed the program when it left Catholic Charities in 2009 to become a freestanding nonprofit housed at the Neighborhood Center, 115 South. 49th Avenue. What makes OTT a draw, he says, is the non-threatening framework it offers for addressing things that too often remain silent. “Omaha is a very racially divided, silo community with our north, south, east, west divide. We’ve had a lot of issues and incidents, you name it, and people repeatedly say they want this type of venue or platform to share some of their positive and negative experiences. There aren’t a lot of organizations and entities who bring people from the grassroots and the treetops levels together to break bread and have conversations. As a city we need to do a much better job of bringing communities together”. Byndon, whose late mother Lerlean N. Johnson was among a group of Omaha parents who brought the law suit forcing the city’s public schools to implement mandatory desegregation, says he was reared to promote integration and racial accord. “I think there’s probably an unmeasured but very great hunger in this and every other community to do the right thing, and this is a painless way to do the right thing,” says Patrsch, retired Omaha World-Herald editorial page director. The by-registration only event allows participants to self-select what level of dialogue they desire — entry, intermediate or advanced. “The people that come to the table have varying levels of experience and different levels of comfort in talking about racial issues,” says McFarland. He likes that the program meets people where they’re at on the continuum of race talk. “I think it’s very important Table Talk has expanded its levels to take on deep business, because you don’t want to take an entry level person and give them one exposure and say, OK, go out and thrive. That’s not enough probably in most cases. But if we’re ever going to make a difference it’s going to be to find the people who are on the sidelines now. McFarland says she long yearned to connect with people of color, who were not where she worked, shopped, prayed or lived. Table Talk gave her that entree. “You have a facilitator to be sure the train doesn’t come off the tracks,” says Partsch. If a facilitator does it right, OTT organizers say, participants feel they have permission to say what’s on their mind without censoring themselves. Cathy Nelson recalls everyone at the 2010 Table Talk she attended leading with their weakness, sharing some vulnerable moment from their lives, from the man who served time to the college student who came out to his family as gay. She appreciates how “authentically” people communicated that night. 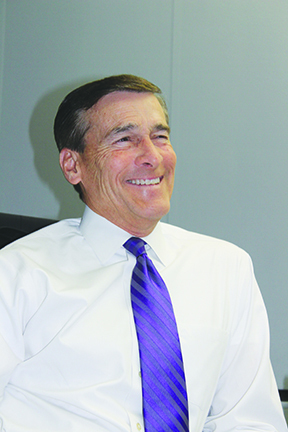 Partsch says participants like himself are invariably “visibly affected” by the shares. Organizers say there’s almost always a nervous admission by one or two guests that this the first time they’ve sat down to dinner with a person of another race or visited the home of someone of a different race, Others admit they are visiting a part of town they’ve never been to before. And for still others Table Talk may be the first occasion they’re discussing race outside their own home or inner circle. OTT also allows Byndon and others to live out a calling to bridge the racial divide. For online registration, visit www.omahatabletalk.com. For a schedule of OTT panel discussions, open dialogues and other events, call 402-561-7594 or email omahatabletalk@gmail.com.